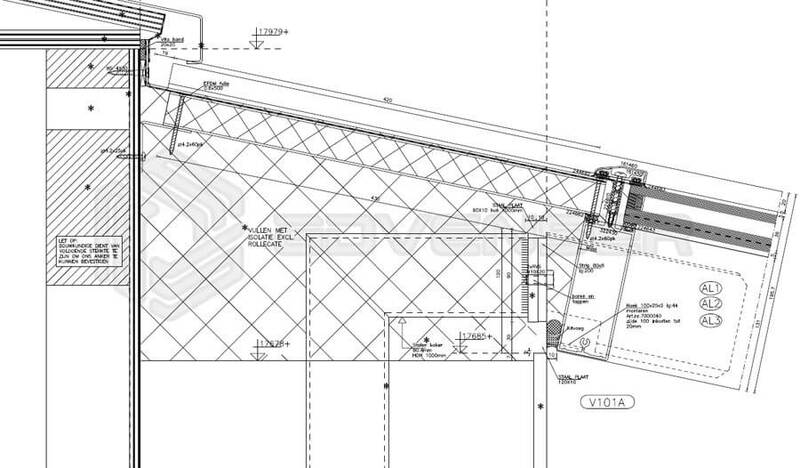 Facade Skylight detailing CAD services. Advenser provides services for 2D detailing, shop/fabrication drawings including floor/key plans, elevations, and sections for façade systems. Our services are designed for architects, construction persons, fabricators, etc. Skylight provides a building with daylighting and ventilation. Once properly selected and installed, an energy-efficient skylight can help minimize various external aspects like heating, cooling, and lighting costs. Skylight glazing is usually glass, although other glazing technologies may be used for solar heat control. Based on the performance expectation from a skylight, we may opt for different types of skylight glazing for different skylight locations throughout the building. The most commonly seen skylight glazing shapes include rectangular, circular, oval, diamond, triangular, multi-sided, and tubular. We have a dedicated and specialized Facade team headed by a senior project manager and include senior draftsmen, quality checkers and expert architectural CAD engineers. We provide facade 2D drafting/ 3D detailing for external & internal frameless glass partitions, doors & windows.